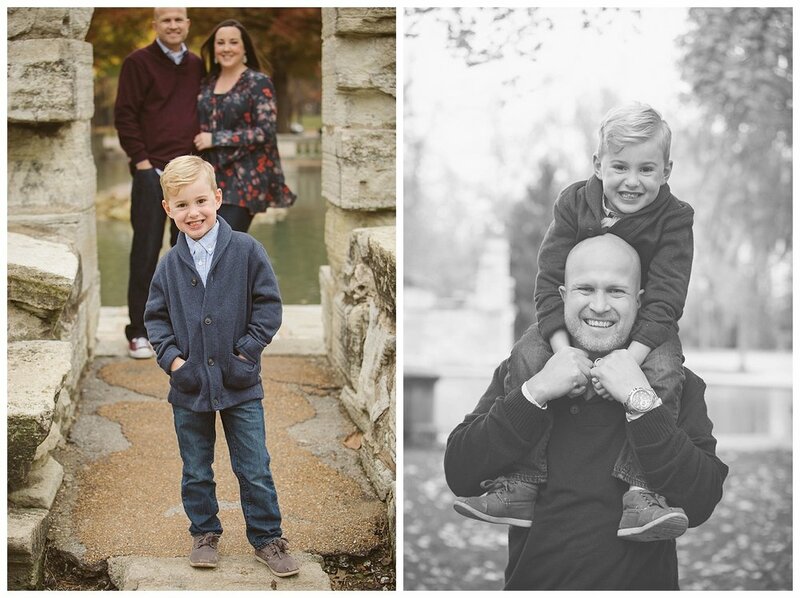 I had such a great time exploring Tower Grove Park with this wonderful family! Their son could not be any cuter, he was such a ham, cheesing for the camera and posing! Family sessions can be so much fun. I love how they played with the leaves at the end, totally embracing fall.